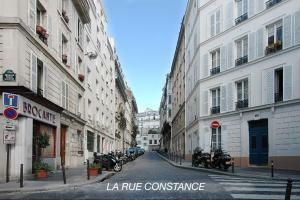 Set a 10-minute walk from the Sacré Coeur, this contemporary one-bedroom apartment features free Wi-Fi access. 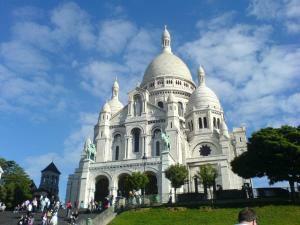 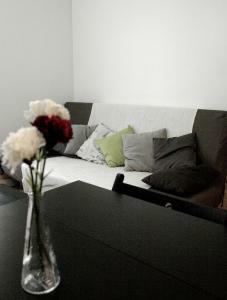 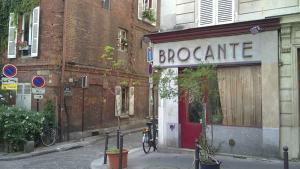 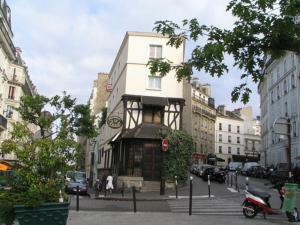 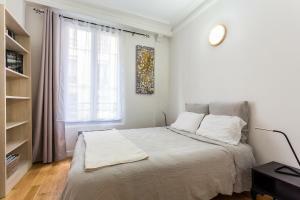 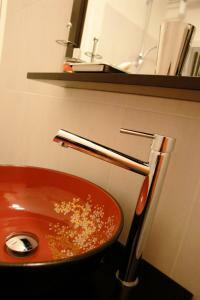 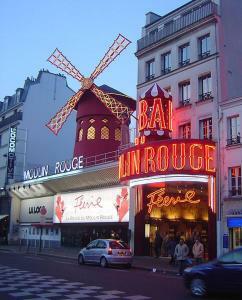 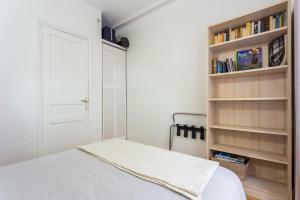 It is 400 metres from Abbesses Metro Station, which offers direct links to the Champs Elysées. 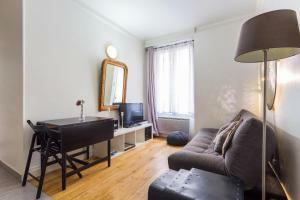 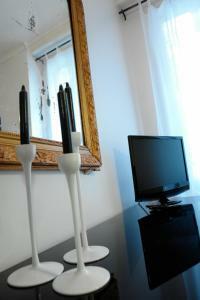 Appartement de Charme Montmartre includes an LCD TV with a DVD player in the living room. 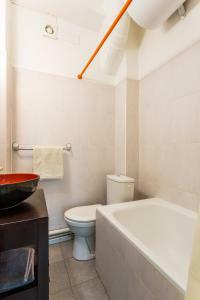 It has wooden floors throughout and an en suite bathroom with a combined bathtub and shower. 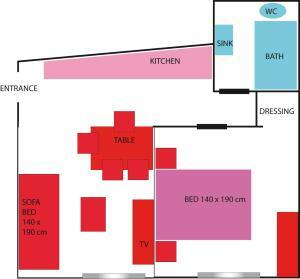 Meals can be prepared in the kitchen, which is equipped with hotplates, a refrigerator and a microwave-oven. 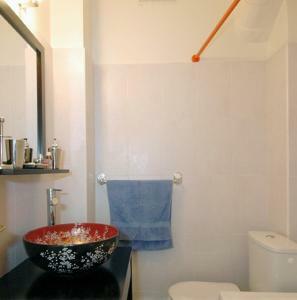 There are also ironing facilities and a washing machine at your disposal. 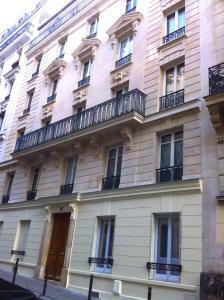 Also accessible on line 12 from Abbesses Metro Station, include attractions such as Place de la Concorde and Paris’ National Assembly. 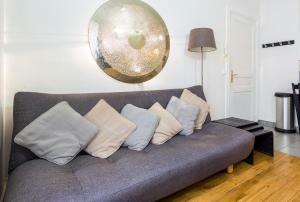 This contemporary apartment has 1 bedroom and a living room with a sofa bed. 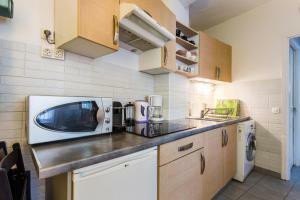 It also include a large kitchen with a washing machine. 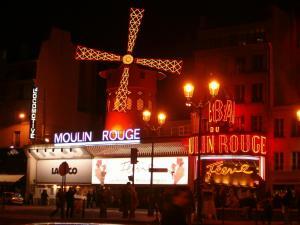 Rate: € 144.00 ... € 160.00; select dates below to get current rates.